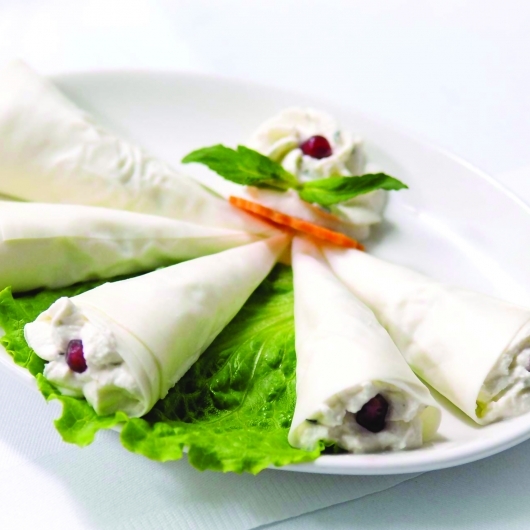 Tender rolls with cottage cheese stuffing are a delicious appetizer from Samegrelo, a region in Western Georgia. 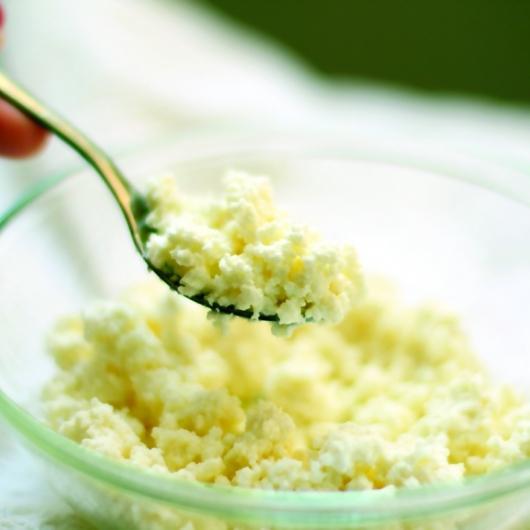 Cheese, mint and cottage cheese go well together and form a harmonious taste. This dish is very easy to prepare and not time-consuming at all. 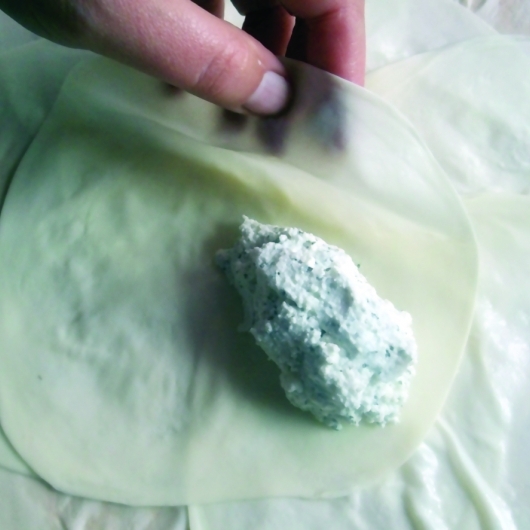 It is a common sight at Georgian supras (feasts), regardless of the occasion. Gently mix dry or fresh mint with nadughi. Add salt. 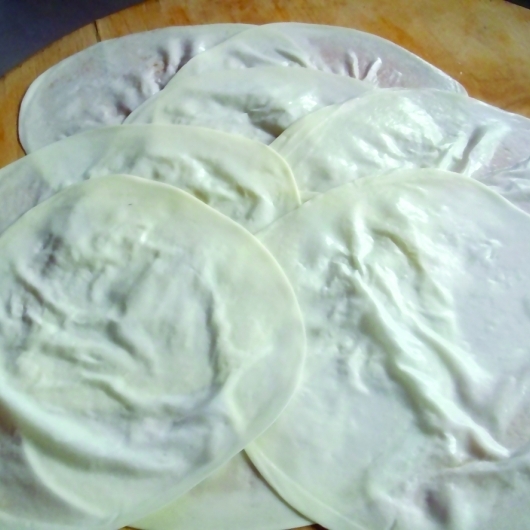 Cut a Sulguni disc in two, place small portions of the mixture on each half and carefully wrap them to create a cone-like shape. Repeat until you run out of cheese discs. Serve the dish with pomegranate seeds or olives.